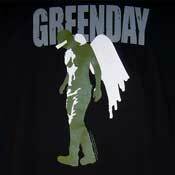 Own this 100% Cotton Green Day Angel Wings Shirt. 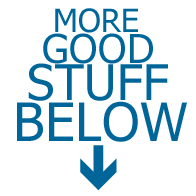 This two sided printing t-shirt, comes preshrunk, and is also machine washable. 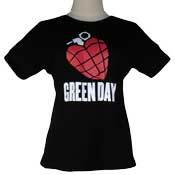 Green Day is an American punk rock band formed in 1987 consiting of of lead guitarist and vocalist Billie Joe Armstrong, drummer Tré Cool, bassist and backing vocalist Mike Dirnt, and guitarist and backing vocalist Jason White. 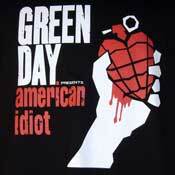 Green Day has sold over 25 million records in the US with over 70 million records worldwide, The group has won five Grammy Awards: Best Rock Album for American Idiot, Best Alternative Album for Dookie, Record of the Year for "Boulevard of Broken Dreams", Best Rock Album for the second time for 21st Century Breakdown and Best Musical Show Album for American Idiot: The Original Broadway Cast Recording. 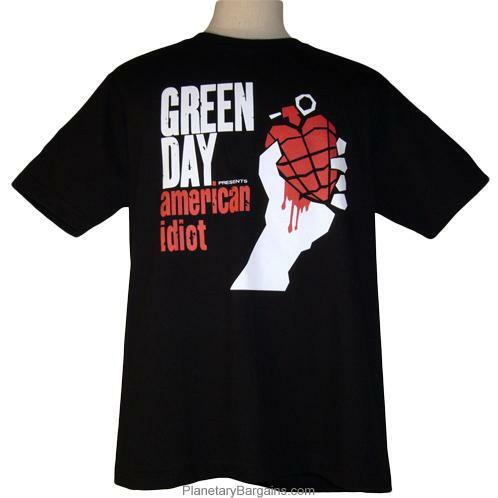 In 2010, a musical stage adaptation of American Idiot debuted on Broadway which was nominated for several Tony Awards, including Best Scenic Design, and Best Musical.